Tesla: Seriously, Musk, Who Cares About The Shorts! Congrats to Elon Musk and Tesla shareholders for the late Friday decision to stay public. We've mentioned our $1000+ 12 month price target. 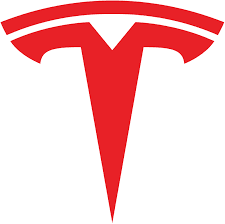 That's based on using a 50X PE on 2019 earnings numbers considering Tesla starts going profitable in Q3 and/or Q4. It sounded like this whole going-private idea was somewhat emotionally charged to avoid the shorts. Who cares about the shorts, though! We love shorts. When we find a company and a story we love, it's such gravy to know that there's a huge short interest. Those are the players that are going to help send our loved stocks up into the stratosphere. We've had plenty of them and it is so much more fun when there are huge shorts against us (ask subscribers). Seriously, Mr. Musk, the shorts are going to be your best friends. You want the stock to go up, right? We want the stock to go up. How do you get stocks to go up, you need buyers. Just like you have a backlog of orders for Model 3 and that gives you some comfort, you have a huge backlog of stock buyers in those shorts. You should be loving the shorts knowing you have so much pent up buying demand. All those bears and shorts are going to have to give-in as long as you simply (come close to) deliver what you set out too. Who cares about the shorts? Seriously, stop calling them, chiding them, playing with them, acknowledging them. WHO CARES! How about this: You deliver Model 3s, S&X, Y, Z, L, M, N, O, P and let them push the stock up as you deliver on all your targets. You say nothing about shorts and lose no sleep about one short. Just deliver. The shorts have been a distraction pushing you to think about going private. The shorts are going to be your stock's best friends. Our best calls are stocks we love with a huge short interest. It's an amazing thing to watch them have to cover as your earnings numbers come to fruition. After you print successive profitable quarters and you are in the running to be an S&P candidate, don't worry all the major institutions are also going to need a serious position in your stock. And, again, the shorts are going to be your best friend, helping the stock jump as these massive investors need to own giant size in Tesla. Ignore the shorts. Don't pay them any attention, time or energy. They are a great company's best friend. They are your stock buyers in backlog.